Hannah had the shell of a generation. If you’re as big a fan of Girls as I was, then you probably realized early on that the show is a thinly veiled metaphor for hard and soft-shell marine life. Although there are still those who maintain that Girls was a show about a group of immature, privileged, young women in New York City, to the ever-growing population of castaways like me adrift on rogue sea vessels, the show was a clear depiction of the formative molting process of a hard-shell crab, indigenous to the cooler northern end of the Gulf Stream in the Atlantic Ocean. The crustacean metaphor is depicted time and again throughout the show’s epic six-season run, specifically in episodes where Hannah undergoes intensive metamorphosis, or shedding of her shell, if you will. Basically every episode. What I’m saying is, Hannah Horvath is an Atlantic rock crab who went through a detailed molting process in each and every 62 episodes of Girls. As the series progressed, Hannah went from being a self centered woman with underdeveloped character in her mid-twenties to a self-centered woman with slightly more developed character in her late twenties. 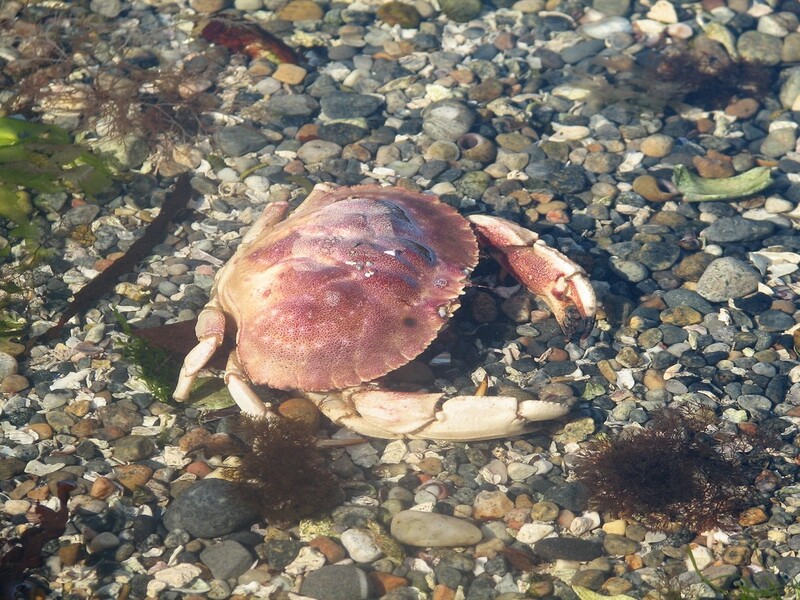 Exactly like the Cancer irroratus, or Atlantic rock crab. When the show began, we were let into Hannah’s complicated world of egocentric angst, ebbing creativity, and a tough carapace bearing nine marginal teeth on either side. Admirers and critics alike watched riveted as Hannah navigated her mid-twenties, trying to remain afloat while maintaining four complicated friendships constantly undergoing metamorphosis of their own, all while battling the temperamental tides of the frigid Atlantic Ocean. Throughout the show’s six-year run, I often felt Hannah’s saga was mirroring my own as I bobbed helplessly out in the middle of the ocean aboard a single life raft, which received HBO for some reason. As Hannah struggled, so would I, it seemed. While Hannah yearned for Adam’s loyalties in the first two seasons, I acclimated to the harsh sun and learned to filter salt water for potability. As Shoshanna and Marnie stopped speaking over Marnie’s sexual encounter with Ray, I ran out of seagulls to eat and subsisted on seaweed for months. It wasn’t until halfway through season four when Hannah returned to Brooklyn to find that Adam had secretly moved Mimi-Rose into her apartment that I finally washed up on a deserted island and realized that Girls was really just a parallel to my own life. I was Hannah Horvath. And I am an Atlantic rock crab. And so, it was with some sorrow that I watched the series finale of Girls, beside my sleeping husband, who is also an Atlantic rock crab, and reflected on the changes of the past six years, both Hannah’s and my own. While it isn’t clear whether this is to be Hannah’s final molting cycle, as someone who has come to know Hannah Horvath intimately, I think I can say she’s got at least another couple dozen molting cycles ahead of her, before being caught in a net off the coast of Maine and sold in a local seafood market. Sarah Hutto is a comedy writer whose work can be found in the New Yorker, McSweeney’s, The Washington Post, and Splitsider.